In this video from PainWeek 2017, Hal Blatman, MD, medical director of Blatman Health and Wellness Center, discusses the most common misconceptions that patients have about pain. Should the Availability of High-Dose Opioids Be Reduced? In this video from PainWeek 2017, Hal Blatman, MD, medical director of Blatman Health and Wellness Center, discusses whether the FDA should reduce the availability of high-dose opioids in response to the growing opioid abuse epidemic. 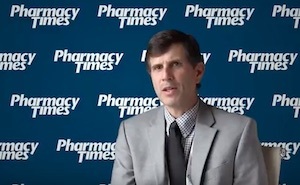 In this video from PainWeek 2017, Hal Blatman, MD, medical director of Blatman Health and Wellness Center, discusses how compounding pharmacists can help patients with chronic pain. In this video from PainWeek 2017, Hal Blatman, MD, medical director of Blatman Health and Wellness Center, discusses the relationship between chronic pain and stress. The Growing Opioid Abuse Epidemic: What Factors Are Playing a Role? In this video from PainWeek 2017, Jeremy Adler, MS, PA-C, co-owner of Pacific Pain Medicine, discusses why opioid abuse has become an increasingly urgent issue. In this video from PainWeek 2017, Jeremy Adler, MS, PA-C, co-owner of Pacific Pain Medicine, discusses the pharmacist's role in combating the opioid abuse epidemic. In this video from PainWeek 2017, Jeremy Adler, MS, PA-C, co-owner of Pacific Pain Medicine, discusses the challenges facing abuse-deterrent opioids as their manufacturers attempt to bring them to market. In this video from PainWeek 2017, Jeremy Adler, MS, PA-C, co-owner of Pacific Pain Medicine, discusses the mechanisms by which abuse-deterrent opioids prevent misuse. In this video from PainWeek 2017, Jeremy Adler, MS, PA-C, co-owner of Pacific Pain Medicine, discusses the benefits of abuse-deterrent opioids. Patients who were treated by the IPT experienced a 61% greater reduction in morphine equivalent daily dose (MEDD) than those who received usual care group. In this video from PainWeek 2017, Hal Blatman, MD, medical director of Blatman Health and Wellness Center, discusses treatment options for sleep-related pain. 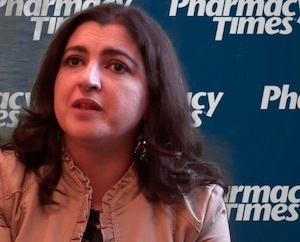 The Opioid Epidemic: How Can Pharmacists Help Address It? Insurers can also help address this devastating epidemic. 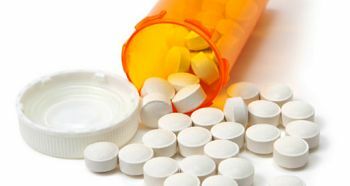 In response to the growing opioid abuse epidemic, several health groups have written a petition requesting that the FDA remove ultra-high dosage unit (UHDU) analgesics from the market.